If the 520PS engine in the regular S8 isn’t quite powerful enough for you, don’t fret - Audi has just the thing. 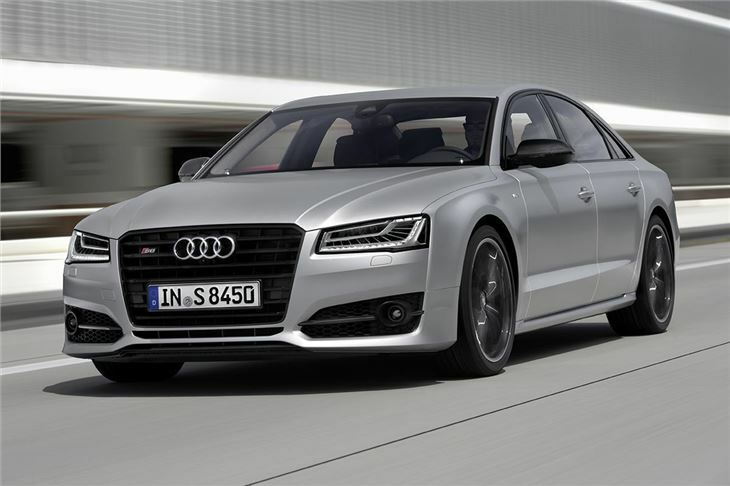 With the power dial turned up by 85PS to a quite possibly insane 605PS, the S8 Plus has supercar-humbling levels of torque, power and pace, but in a subdued, comfortable and luxurious package. That’s not a cheap combination of talents though. The S8 Plus costs from £97,715 - £16,320 more than standard S8 and almost £35,000 more than a basic A8. And that’s before the inevitable options boxes are ticked - if you’re going to buy an S8 Plus you’re almost certainly going to end up spending more than £100,000, which is getting into real supercar territory. Chances are, similarly priced supercars could have trouble keeping up though. 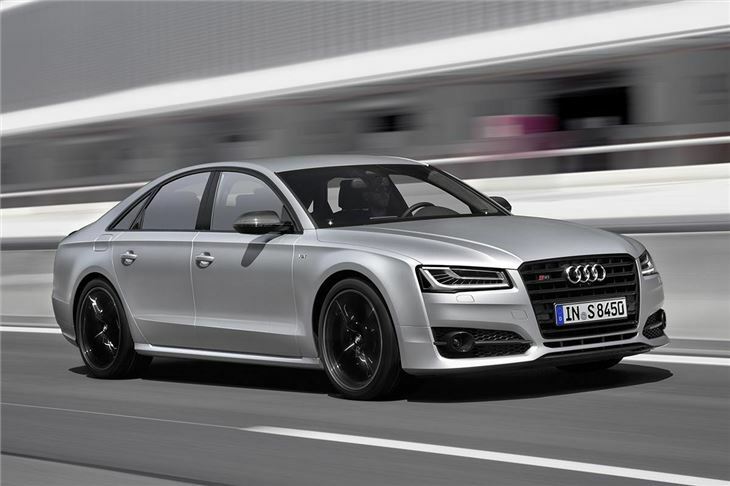 The S8 Plus is stupendously fast, getting from 0-62mph in 3.8 seconds. 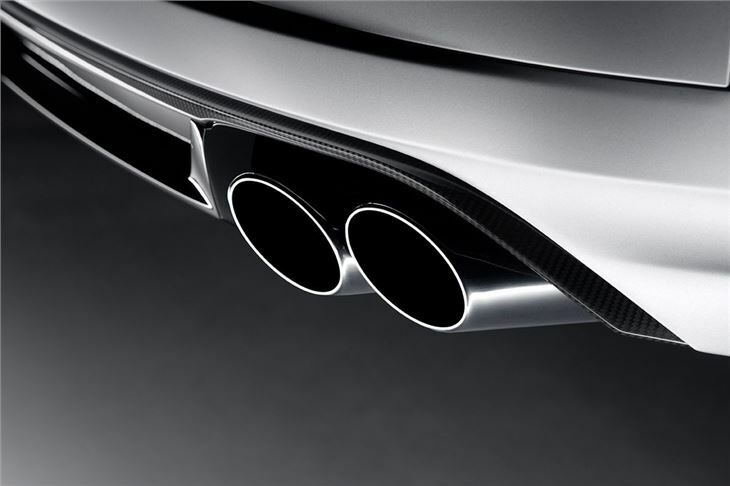 The 4.0-litre, turbocharged V8 produces peak torque of 700Nm, or 750Nm with overboost, from 1750-6000rpm. Acceleration is surging, effortless and unrelenting - and it’s accompanied by a purposeful but classily-subdued growl. Transmission is an eight-speed Tiptronic automatic which is smooth and responsive, kicking down when required – which isn’t often thanks to the torque output. It has an S mode, which changes the shift pattern to hold on to gears longer, plus there is a manual mode which lets the driver choose gears via paddles behind the steering wheel. 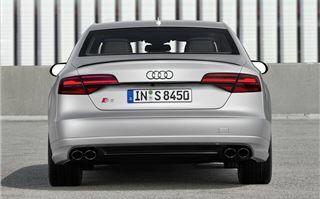 The gearbox configuration is also linked to Drive Mode Select, which changes steering and throttle settings, as well as the firmness of the standard-fit air suspension and the amount of noise the engine makes. Drivers can also choose a custom combination of settings in Individual mode providing, for example, sharper throttle response with comfy suspension. Incredibly rapid though it may be, the weight and size of the S8 Plus is always noticeable. It’s not as lithe or as agile as a sports car, meaning twisting routes with sudden direction changes are far from its natural environment. 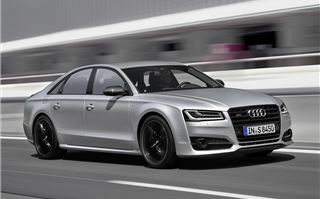 Yet, despite that fact, it is still incredibly capable, with huge traction thanks the quattro all-wheel drive system. 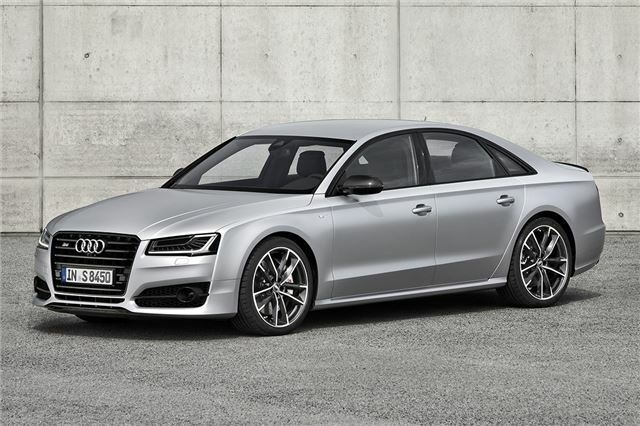 Thanks to is A8 base, the S8 Plus is also very comfortable and relaxing in everyday driving, whether around town or on a long motorway cruise. Refinement is excellent, as is ride quality when in the ‘Comfort’ drive mode, despite the huge 21-inch alloy wheels. There are also plenty of technologies to take the stress of out of driving. Heated seats, climate control, adaptive cruise control with stop and go, a BOSE 14-speaker audio system, a 360-degree birds-eye parking camera and Matrix LED headlights are all standard. Options include a £9250 ‘Dynamic Package’, which raises the top speed to 189.5mph and adds stronger carbon brakes - probably not needed unless you're an Autobahn regular. Leather upholstery is standard, plus there is a broad array of different interior and exterior colour and material finishes. However, even if you try hard it’s difficult to make the S8 Plus look anything more than restrained and subtle. 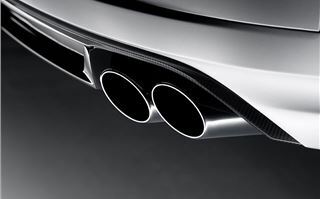 That’s all part of the appeal – aside from details like the S8-specific exhausts, it’s more or less the same as any other A8. 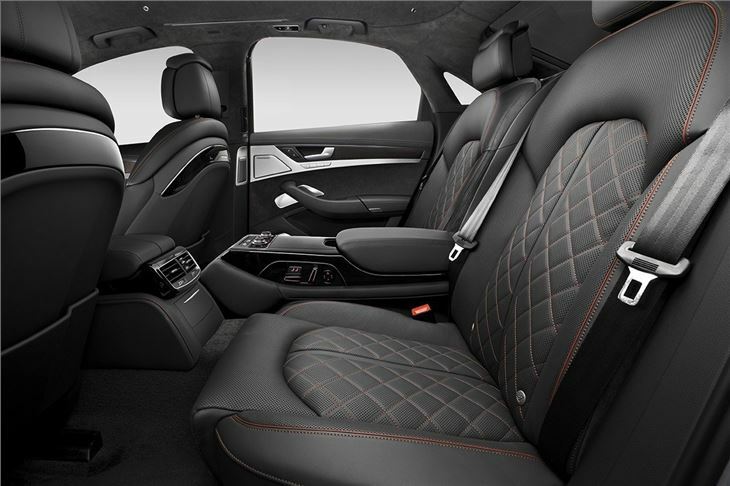 And like in a standard A8, rear-seat passengers are well looked-after, with plenty of leg room and comfortable seats, along with separate climate control. There is a sizeable boot with a capacity of 510 litres - enough for four golf bags - although if you’re planning on carrying things like furniture the saloon body style will make life tricky. Running costs are unlikely to be a major concern if you’re in the market for a car with more than 600PS, but they’re surprisingly reasonable - emissions are 231g/km, while official fuel economy is 28.2mpg. It’s hardly frugal, but almost 30mpg is not at all bad for a twin-turbo, V8-powered car that weighs two tonnes. In terms of performance, the nearest rival is the Mercedes-AMG S 63, which has less power at 585PS and costs more, at £121,690. The V12-powered Mercedes-AMG S 65 on the other hand produces 630PS and more torque than the S8, but it costs more than £180,000 – a huge amount more than the S8 Plus. 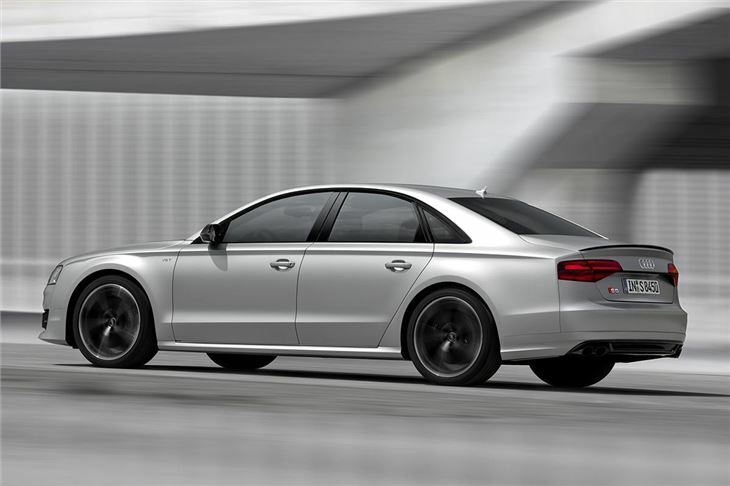 The engineering skill that has gone into combining all the cosseting comfort, quality and ease-of-use of a luxury saloon with such mind-boggling, supercar rivalling performance is plain to see in the S8 Plus. Ultimately it’s all just an exercise in showing off – but we’re impressed. 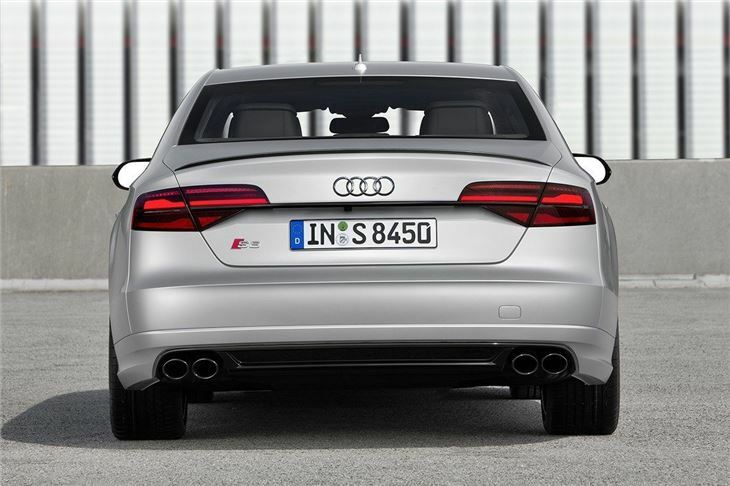 This is the ultimate super saloon.